We have a team of Chicago php developers and programmers that help businesses provide customers with a portal to check orders, invoices or run reports. Have something else in mind? We can create it! Our PHP applications are made for browsers as well as tablet, iPhone and Android devices connecting your business with your clients. What recommends us as Chicago PHP Developers? 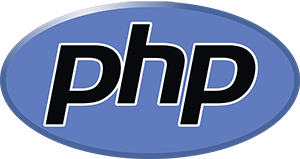 We have professional, experienced PHP programmers on staff and ready to help. Multi-browser compatibility and clean code. User-friendly Interfaces and performance testing.